Okay, before I let another month pass between posts, I’m going to share the rest of my “lessons learned” from sewing my first swimsuit. After that, it’s time to move on to other sewing projects because holy moly – fall is coming! I say kinda, because I found I could get away with using my sewing machine for almost everything. Also, serger seams with all their extra threads tend to add bulk, which can be a real problem for a neatly sewn bikini (more on that later). 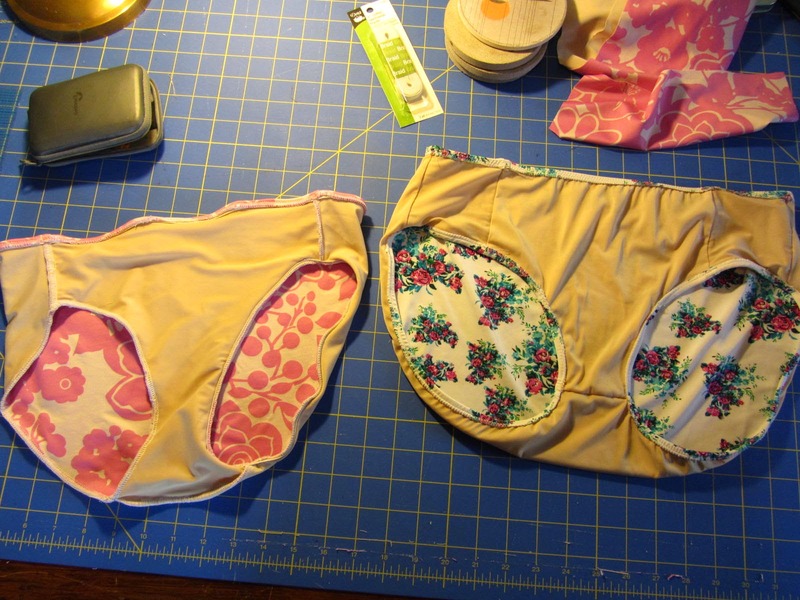 By my fourth try sewing bikini bottoms, I was only using my serger for joining up the crotch and side seams, which is really the easiest part of the process. Sewing these seams was the first step in sewing my bottoms. I tried doing this on my sewing machine to see if I could get away with not using my serger at all, however, it tended to stretch the seam out as it sewed. So I ended up using my serger for these seams and nothing else. I’ll bet if I spent enough time fiddling with the tension settings on my machine, I could get it to sew these seams just fine. 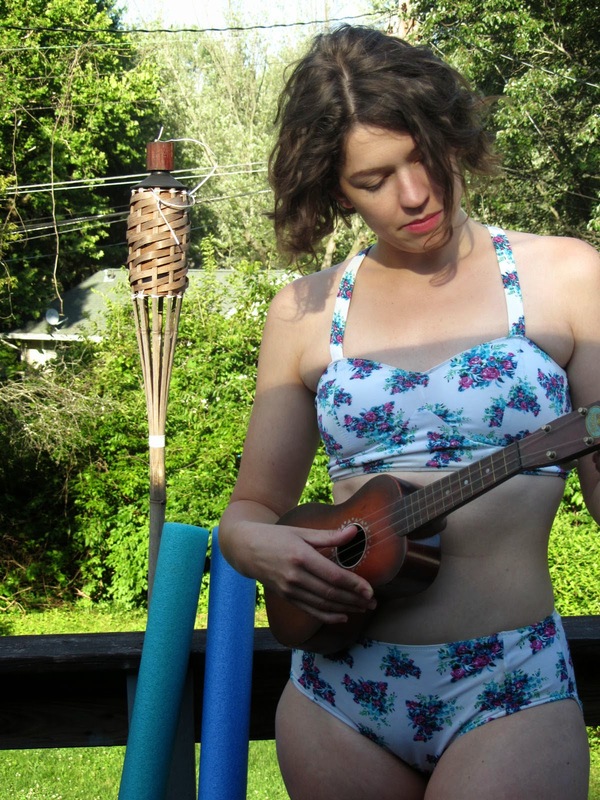 So if you’re worried about sewing a swimsuit without a serger, I say go for it! It just may take a few practice trials to get the right stitch tension. Tip 2 – If you have a walking foot, use it. When I first tried sewing the Bombshell swimsuit last summer, one thing I couldn’t seem to wrap my mind around was how I was supposed to pull slightly on the fabric or elastic at the front of machine while I sewed and at the same time still get the fabric to advance under the needle. With wovens, that doesn’t seem to be a problem. With spandex, it felt like a tug-o-war where everyone was losing. I think using my walking foot really helped with this problem. I could put tension on the fabric in front but still get everything to advance forward. 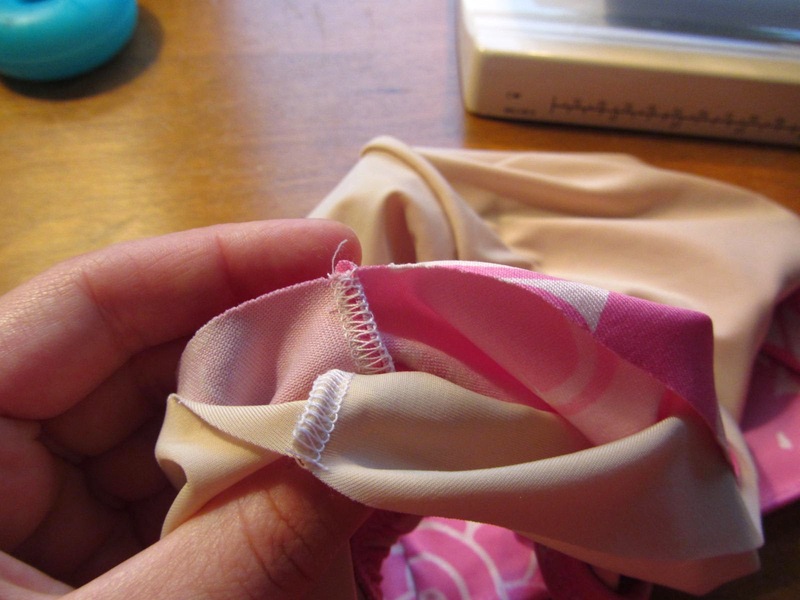 Tip 3 – It’s possible to unpick stitches in spandex – even serger stitches. I don’t know how I managed to match up such a short seam so poorly. But I was able to unpick it and redo. It wasn’t a whole lot of fun, but I fixed the error and my final product was no worse for it. I also found that it’s possible to press spandex with your iron AT A VERY LOW HEAT. You can do it, just be careful. 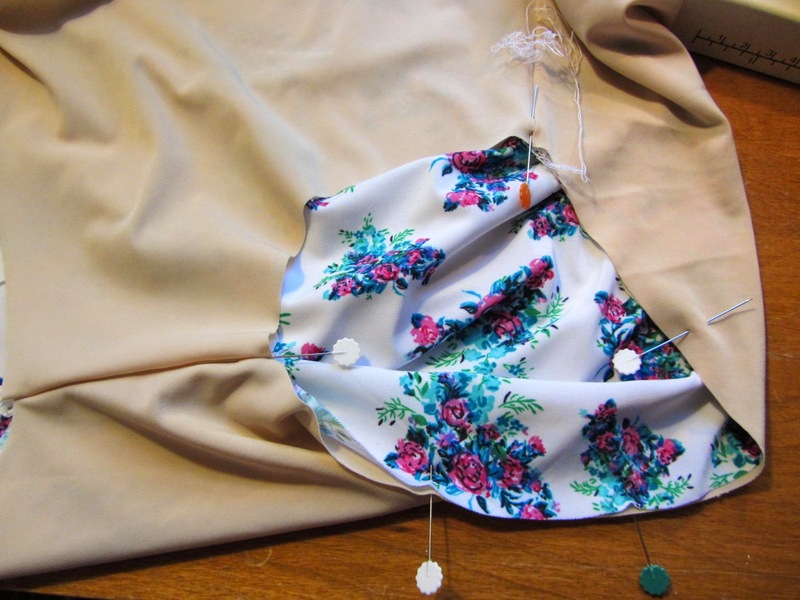 Tip 4 – Sew the main seams of your lining and outer fabric separately, and then combine the two. 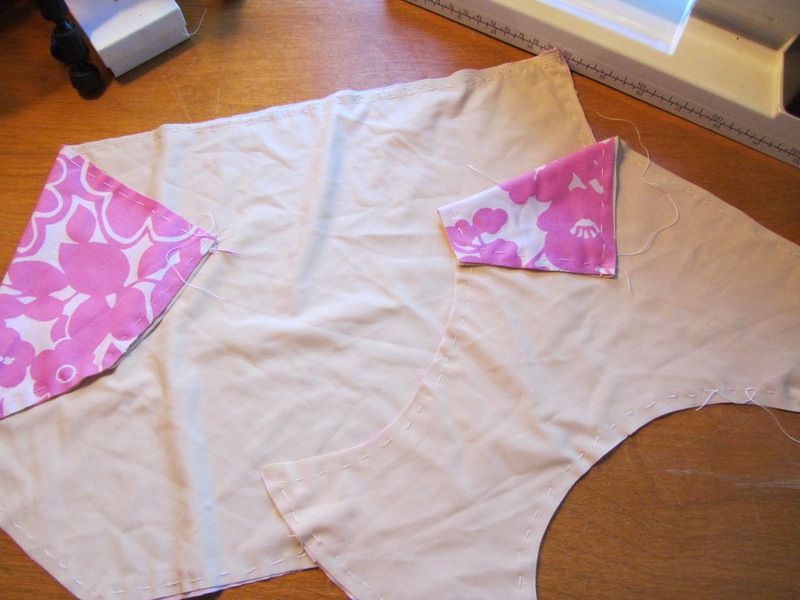 For my first pair of bottoms, I sewed the lining fabric and outer fabric as one, as though the lining was an underlining. I even carefully basted the two layers together to make it easier to sew them as one. I think I learned this method from the Bombshell pattern. 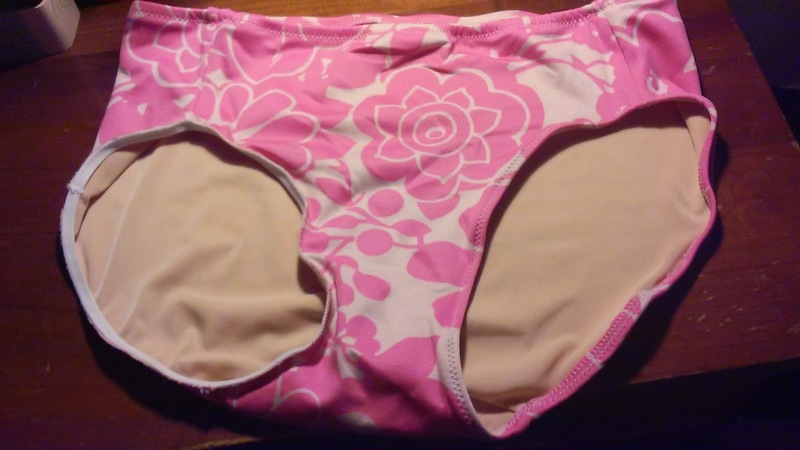 But when I looked a pair of RTW swim bottoms, I found that they had sewn the lining and main fabric separately at the main seams, and then inserted one in the other. To illustrate, here’s a picture of my first pair, with underlining method, next to my final pair, with lining method. On the left, you can see the serged seams are exposed on the inside. On the right, they are hidden between the lining and main fabric. I’m not sure that this makes much of a different in comfort for wearing the bottoms, and I’m almost certain you can’t tell the difference in looks from the exterior, but I just like the second method better for how it looks on the inside. Also, I think it helps reduce seam bulk a little. 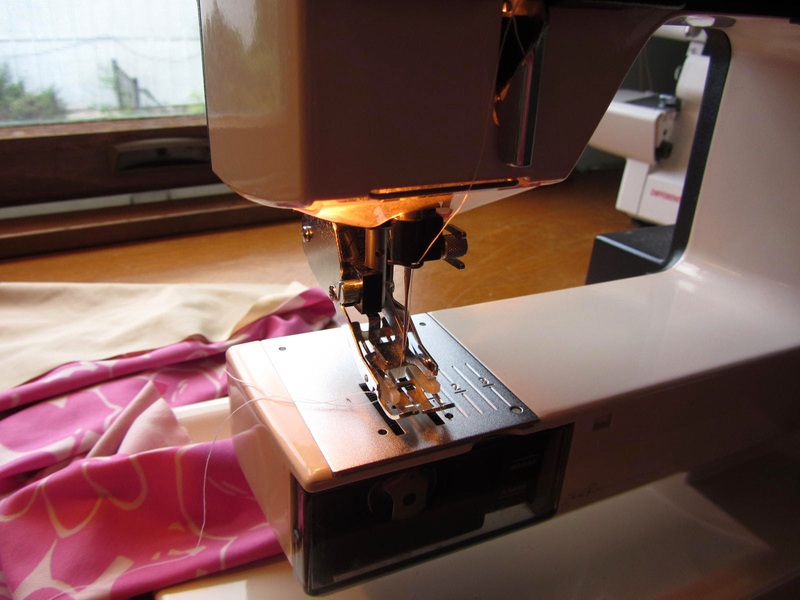 Tip 5 – When sewing the main fabric and lining together, line up the seams and position seam allowances in separate directions. Once you have sewn your main seams (sides and crotch), all you have left to do is put the lining inside the main fabric and start sewing on the elastic. 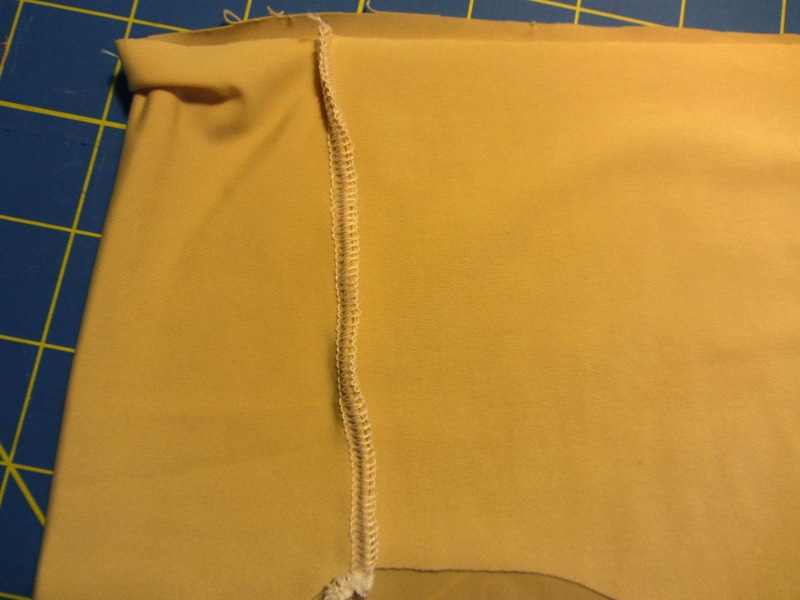 A good way to minimize bulk at the seams during this step is to make the seam allowances of the lining and main fabric point in opposite directions. I tried to show this in the picture below. Seam allowance of main fabric is pushed to the right, seam allowance of lining is pushed to the left. 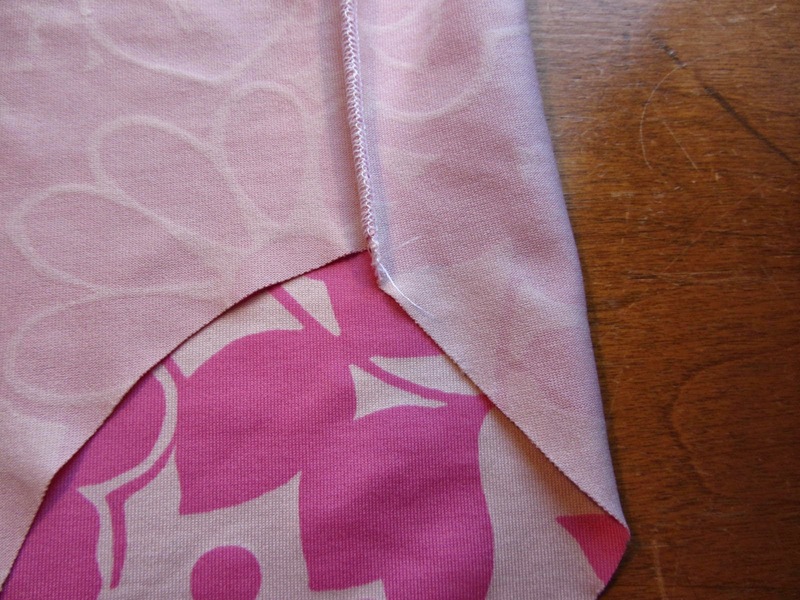 Tip 6 – Neaten all edges before sewing. In a different sewing project I wouldn’t sweat that little imperfection, since it would fall within the seam allowance anyway. But for a swimsuit, you want to trim away that stair step to make a nice continuous line for inserting your elastic. Again, Brian does an excellent job of explaining these sorts of things in his tutorial, so I recommend you watch it. Sorry if I sound like a broken record, but Brian saved my bikini and now I love him forever. That being said… my next tip goes against Brian’s advice. 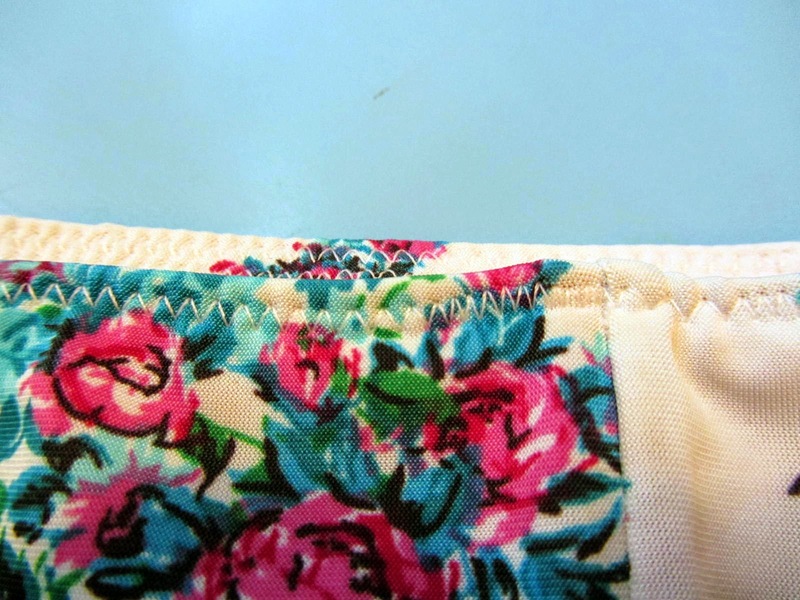 Tip 7 – Zigzag top stitching is easier. You can see in the photo above where my stitches got quite small in places. It was especially hard to control the stitch length over the bumpy side seams (once again – bulk is bad). 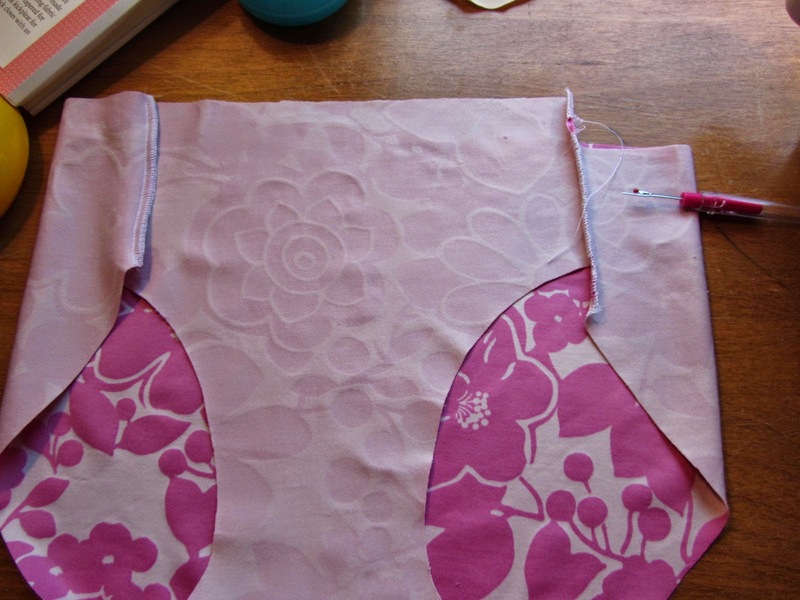 Your sewing machine might handle these things better than mine, but I preferred the results I got with a zigzag stitch. Again, it was hard to keep a consistent stitch length and you can see where my stitches got narrow at the side seam. Overall, however, I think I liked the zigzag stitch better. Brian thinks it looks less professional, but I’m okay with it. Tip 8 – Just go slow. I think this is true of a lot of tricky sewing. Things that seem impossible become simple if you just slow down. I didn’t bother doing basting stitches after that first bikini. They were a pain to rip out later, and I found that I could achieve just as nice a result if I pinned carefully and slowed down. 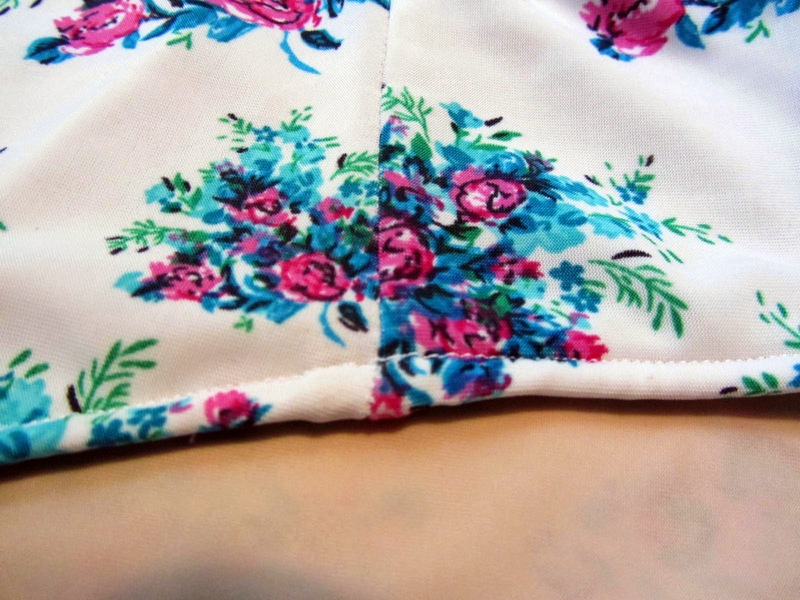 Tip 9 – Use a wider elastic at waist and under bust. I didn’t do this on my first bikini, but after wearing it all day on the river I noticed that the waist and under bust elastic want to flip the wrong way. You can kinda see how the bikini top also wants to ride up under the bust in the photo below. Next time I’ll use a wider elastic and hopefully that will stay put better. No big deal. Tip 10 – Don’t substitute regular elastic for swimsuit elastic. Can you see how the regular elastic on the left created a smaller leg opening than the swimsuit elastic on the right? The regular elastic resulted in an uncomfortably snug fit. I ended up having to unpick all my zigzag stitches. Not fun. I don’t know why I persist in trying shortcuts like this, because the end result is almost always the same – unpicking stitches. So there are my ten tips! I hope other swimsuit noobs find some of these helpful, and that they send you on your way to your first of many successful swimsuits!